Navigate to the geoserver/src/pom.xml directory and click Open. Click Next, leaving all profiles unchecked. Click Next, leaving the geoserver project checked. 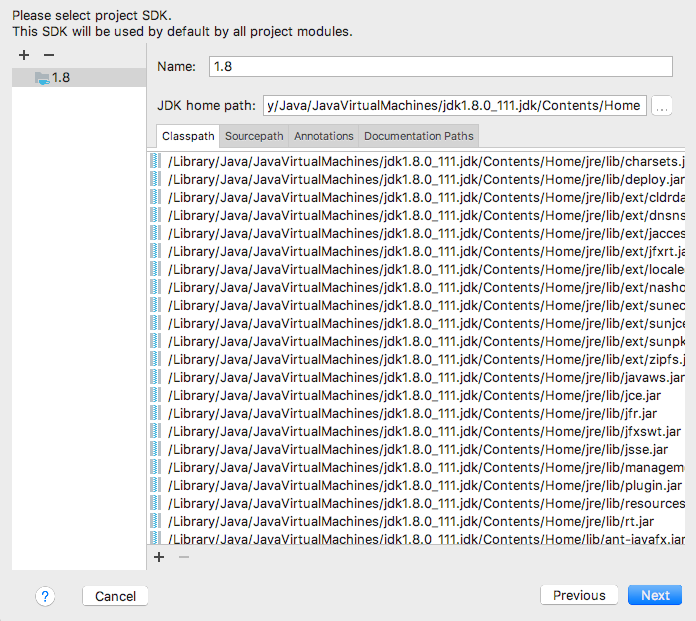 Click Next, selecting the Java 8 JDK of your choice. 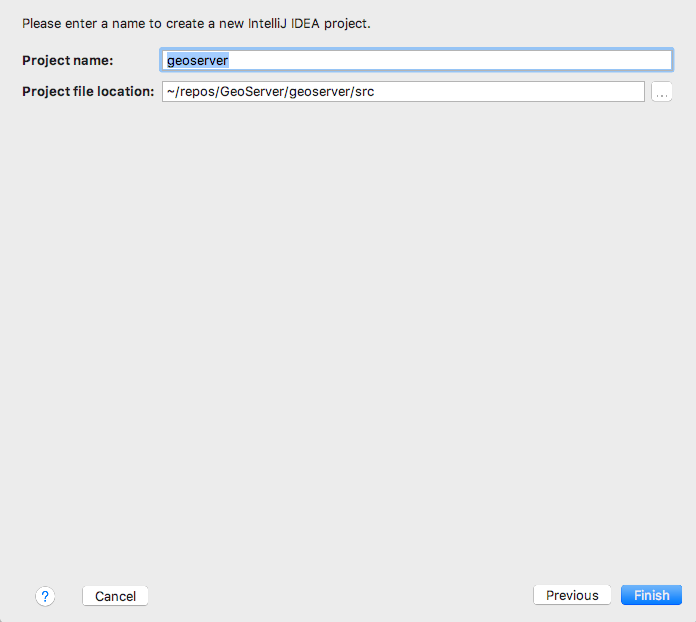 Select the Start configuration, and append web/app to the Working Directory. 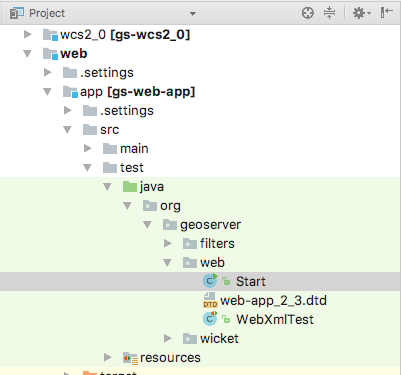 While you have the Edit Configurations dialog open, you can fine tune your launch environment (including setting a GEOSERVER_DATA_DIR). When you are happy with your settings, click OK. If there are errors such as “cannot find symbol class ASTAxisId”, some generated code is not being included in the build. 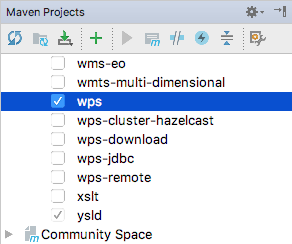 Using wcs1_1 as the working directory, run a mvn clean install. 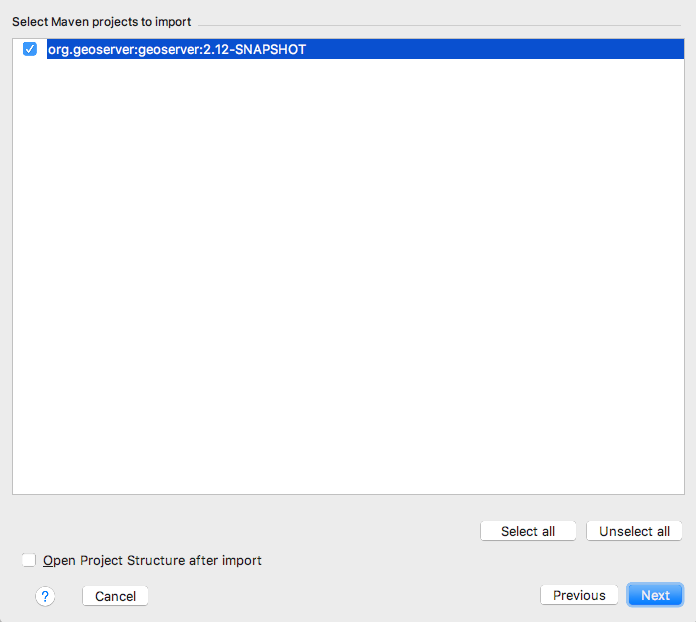 The above instructions assume you want to run GeoServer without any extensions enabled. In cases where you do need certain extensions, the web-app module declares a number of profiles that will enable specific extensions when running Start. 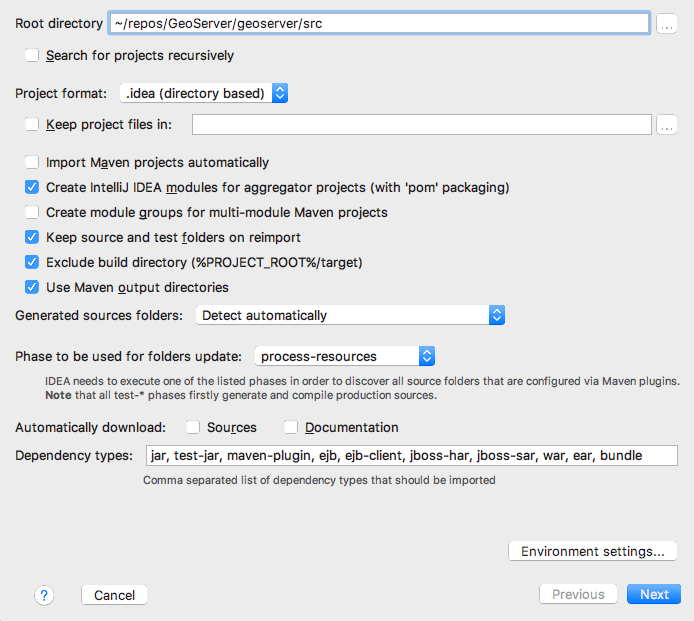 To enable an extension, open the Maven Projects window (View -> Tool Windows -> Maven Projects) and select the profile(s) you want to enable. The full list of supported profiles can be found in src/web/app/pom.xml. 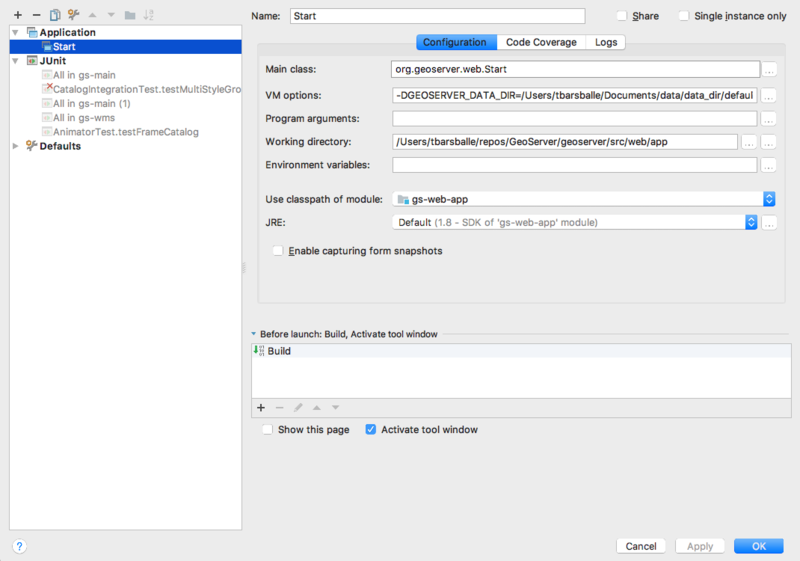 Add bash to your Windows environment path and restart Intellij. If there are errors such as “cannot find symbol AbstractUserGroupServiceTest”, rebuild the security-tests project in the security module. Right click on the security-tests project and click Rebuild.